"In short, according to Friedman and Schwartz, because of institutional changes and misguided doctrines, the banking panics of the Great Contraction were much more severe and widespread than would have normally occurred during a downturn. Let me end my talk by abusing slightly my status as an official representative of the Federal Reserve. I would like to say to Milton and Anna: Regarding the Great Depression. You’re right, we did it. We’re very sorry. But thanks to you, we won’t do it again." I believe that the next economic disaster will be more substantial than all the bubbles of the past 100 years combined, and the intent on the part of the banking elites is to obtain complete global centralization of all assets and resources. This time, though, the general public has finally learned to be more suspicious of the central banks and their motives during such events. Because of greater exposure after the 2008 crash, central banks and their related institutions cannot rely merely on the mainstream media or government entities like the Bureau of Labor Statistics to cover for them. They need a smokescreen. 2) The trade war provides a rationale for dumping US Treasuries: Russia is already well ahead of this process, dumping at least half their US treasuries in a single month. It is only a matter of time before China uses the same method as retaliation for US tariffs. The mainstream media will argue that this is not a meaningful threat to the US economy, but consider the possibility that China'a trading partners will follow their lead causing a "contagion" of treasuries dumped onto the markets. If the US cannot maintain foreign investment in its considerable debts, it will implode economically. 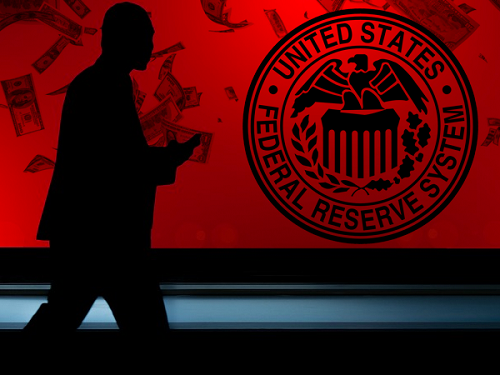 The Federal Reserve has ensured that there are no policy tools left to come to the rescue if this happens. Foreign holders of US debt have been openly discussing this option ever since the 2008 crash. Now, the trade war makes the US culpable (at least in terms of historical narrative) for whatever occurs next. The success of this kind of propaganda will depend on whether or not people have been adequately educated as to the REAL source of our financial ills. If the word on the lips of the masses is “Trump did it”, then we are in trouble. If the word is “The central bankers did it and Trump was merely their proxy...” then we might have a chance to stop the ship from sinking completely.